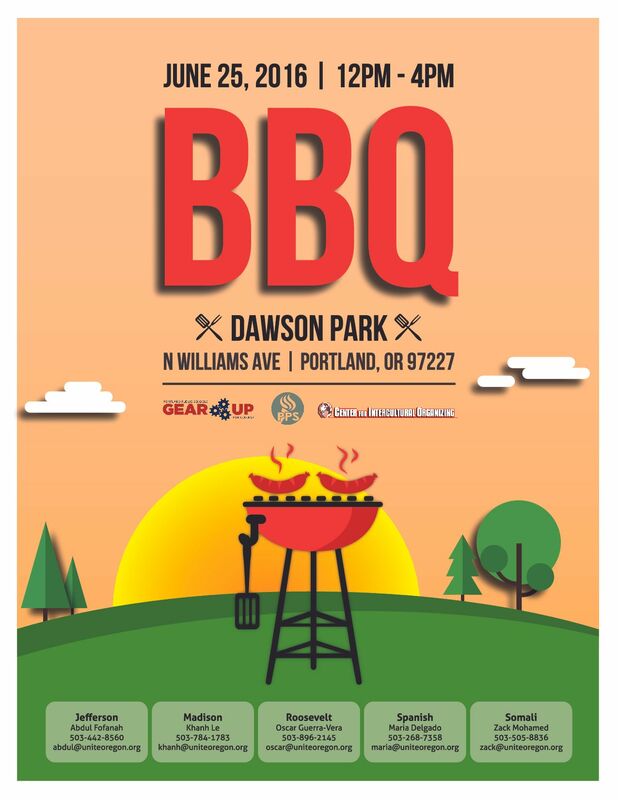 Join us for the BUILD BBQ on June 25 from 12-4 p.m. at Dawson Park. School's out and this is a family event for our GEAR UP students and families in 7th/8th and 10th/11th grades in the Jefferson, Madison, Roosevelt clusters. Food, games, and fun. RSVP by contacting your parent organizer for your cluster for more details.